Anti-static foam sheets are an excellent way to protect your sensitive electronic parts from static charge. 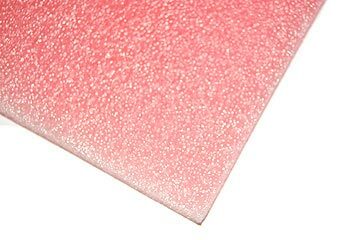 Anti-static foam is chemically treated to resist static. You can use anti-static foam sheets in your storage cases or to safely transport your electronic components. This foam is dense enough to hold inserted leads. The anti-static foam can easily be cut or trimmed to fit drawers, cases, or even individual parts. Each pink sheet of foam is 5" x 8" x 1/2". Price stated is for one 5" x 8" x 1/2" sheet.